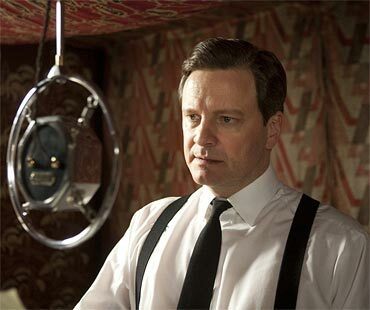 Rediff.com » Movies » Will Colin Firth win the Oscar for Best Actor? 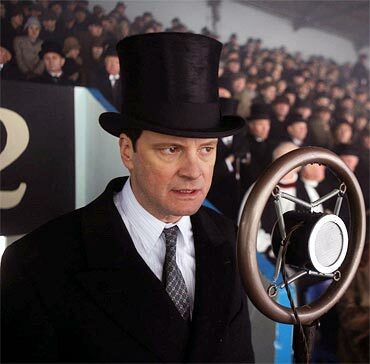 We kick things off then with the obvious frontrunner for the Best Actor prize: Colin Firth. He's riding an unstoppable juggernaut, and the momentum for The King's Speech is only growing stronger with every awards ceremony. The Tom Hooper film is garnering massive accolades but is a film riding purely on the power of its performances, and Firth makes quite the case for himself. 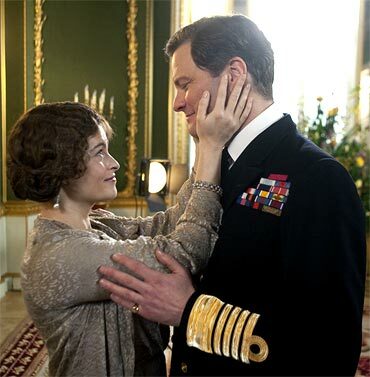 As the stammering King George VI, Firth's is the kind of role -- regal yet disabled, going from humble to majestic -- that works like a charm on Academy members. Remember also that Firth didn't win for his spectacular work in A Single Man a year ago, a nomination that would have earned the former Mr Darcy much acting-credibility. He's now considered a solid actor, and that perception will help him tenfold. He's quite jawdroppingly incredible, honestly. Actors often revel in roles offering them dramatic disability, but Firth here fumbles over his inconsistent stutter with a furious helplessness that makes it both credible and heartbreaking. A speech defect in a hale and hearty man doesn't seem like that much of a crisis, but for a Prince addressing a nation now used to orators and the radio, a stammer can be as debilitating as a lost limb. As the Duke of York, Firth shows off a certain self-effacing sense of humour -- best expressed in the scene when he struggles with telling a bedtime story, his dinner jacket reduced to penguin wings for his daughters -- but as he is gradually, reluctantly pushed into the role of King, his temper grows. He bellows breathlessly in anger, stammer forgotten. Following all the standard dramatic beats faithfully, this can be called a predictable performance; but that doesn't make it a less lovely one. So awed is the world by the overall genius of David Fincher's The Social Network that we perhaps fail to appreciate the individual, buffed-to-perfection cogs in the machine. Jesse Eisenberg, playing wunderkind Facebook founder Mark Zuckerberg, provides a bristly masterclass in restrained acting. Playing a hero hard both to love or to loathe, Eisenberg's performance is one steeped in nuance and silence. The way his stare lingers an extra half-second, the furrowing of his eyebrows, a sudden undulation in his nasal, android-like monotone -- nothing is throwaway, and everything is telltale in this beautifully precise acting job. And yet it is a performance overshadowed by the film itself, one that is being talked about lesser and lesser in the build-up to the race. The Oscars don't traditionally go to sparkling youngbloods being nominated their first time, and it's a bit of a shame, really. 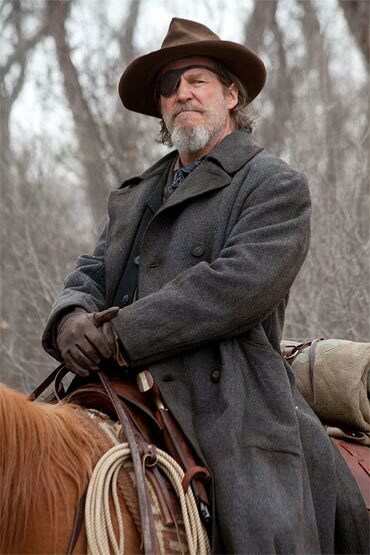 Jeff Bridges is, as usual, pitch-perfect in the Coen Brothers' latest, True Grit. Yet it can be arguably said that Bridges -- playing a booze-lovin' and ruthless US Marshal on a man's trail -- doesn't offer up anything new, while providing a wonderfully enjoyable performance. Yet the Academy loves a story, and the idea of Bridges -- now 61 and highly loved in Hollywood -- winning for a character John Wayne already picked up a prize for in 1969, makes for a beautiful legend. Should Bridges win, it would also be back to back trophies for the actor following his triumph with Crazy Heart last year. Be Tron as it may, now that is a legacy. It's a tough category, but Javier Bardem (Biutiful) just won Best Supporting Actor a couple of years ago for No Country For Old Men, while James Franco, up for his spectacular turn in 127 Hours, is hosting this year's ceremony. Both are deserving contenders, but the Academy isn't likely to bestow them with more favour than they already feel they have. Pity. But it's different with The Dude. Don't bet against Bridges just yet, 'sall I'm saying. So, who will win the Oscar for Best Actor? We've had our say. Now have yours! 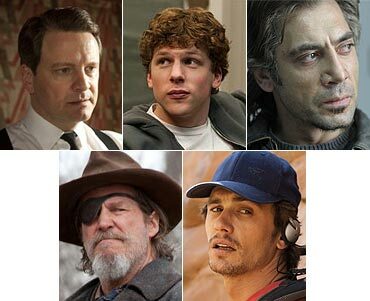 Who do you think will win the Oscar in the Best Actor category? Who wore it better at the Oscars? Oscar Fashion: Hot or not?